A basic triangle mesh: just a list of triangles (no edge connectivity info). Access the n-th triangle in mesh. Add a triangle to this triangle mesh, by specifying the three coordinates. 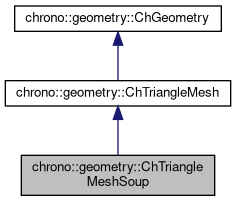 Add a triangle to this triangle mesh, by specifying a ChTriangle. Get the number of triangles already added to this mesh.